As the Director of U.S. Covenant Partner Support for The Fuller Center for Housing, Brenda Barton’s job description was too long to recite. Primarily, it was her responsibility to help covenant partners launch their operations, coach them on day-to-day operations and make sure that the many financial regulations and legal requirements were understood. Her job description, however, grew because she tackled so many other tasks — including seeking out grants and in-kind gifts for partners and coordinating such major events as Legacy Builds and conferences. She did those things by choice because she had a passion for helping people and for The Fuller Center’s ministry. And, yet, whenever someone sought to recognize her for her efforts, she brushed it off and tried to avoid ever having attention on herself. Brenda Barton died peacefully Wednesday night at the age of 68 after a brief battle with cancer. The family is honoring her wishes to not have a funeral. She will be buried at Andersonville National Cemetery alongside her husband Glen, who died in 2011. Details on interment are pending. The dedication of the “Glen and Brenda Barton House” at the 2015 Millard Fuller Legacy Build in Shreveport’s Allendale neighborhood. The memory on Brenda’s laptop was usually near capacity with the thousands of documents she handled, and her phone stayed warm as she fielded calls all day long from partners with minor questions and groups facing major developments. She was the most visible person at Millard Fuller Legacy Builds, zig-zagging from house to house, fielding questions, solving problems and making every concern her own. Director of Communications Chris Johnson says it took a while for hard-driving and constantly-in-motion Brenda Barton to relate to his more subdued work personality. In recent years, though, he got a kick out of being able to getting a laugh out of her before every serious discussion ended, adding that they wound up complementing each other’s style to get much accomplished. 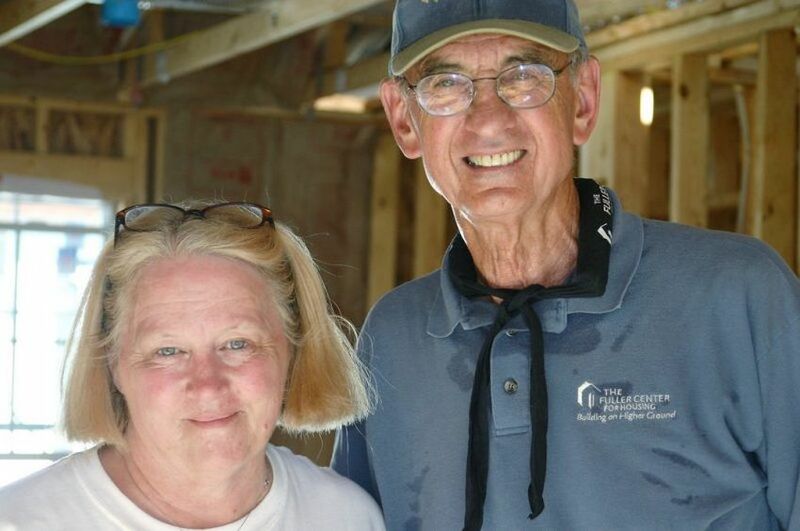 Bart Tucker, head of the busy Fuller Center Disaster ReBuilders, has worked closely with Brenda, perhaps never more so than over the past couple of years as they have set up bases in Texas and North Carolina to help families recover from hurricane and flooding damage. Brenda Barton is survived by a daughter, Jen Barton; a son, Brian Barton; daughter-in-law Lisa Barton; and grandson David Barton. Everyone at The Fuller Center for Housing asks that you keep her family, co-workers and many friends in your thoughts and prayers at this time. LINK: Brenda Barton tribute page at LifeSongFunerals.com. 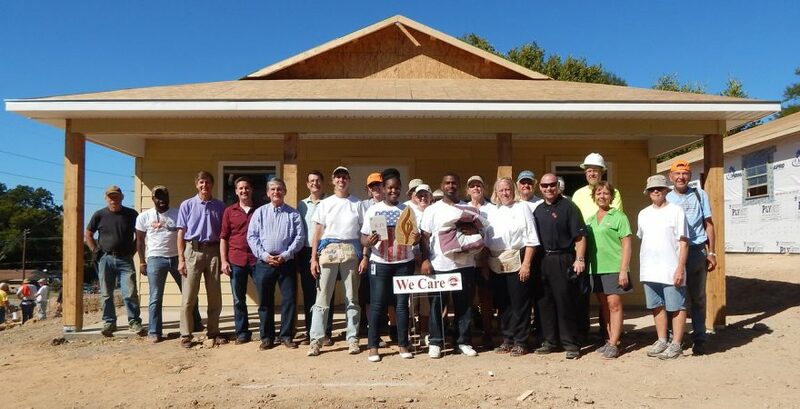 My very first volunteer experience was on House #1 in the Chattahoochee Valley in March of 2007. Glen and Brenda were the first faces I saw and made me feel welcome. Her enthusiasm and bright smile were contagious. I can imagine the reunion her and Glen and Millard are having in that great build site in Heaven! Oyee, Brenda! This Brenda of ours was truly an example of a person who gave her every thought and breath to make life better for the disadvantaged. Her generous heart inspires all of us to do what we can do make a difference for others. Brenda Popp Tallahassee Fuller Center for Housing. I loved the times Brenda and I could talk as Brenda would be overseeing a team of volunteer students on a few occasions over a few years as they were re-skirting the homes of our low-income property here at Good News Outreach. Our prayers are with you, and the family in this time of great loss. So sad to hear about the passing of Brenda. She is one of the Great Women, one of those inspirational women, tireless in her vision, knowledgeable beyond, would to go all the extra miles and a joy to know. She will be sorely missed. Sending her on her way with much love and respect.